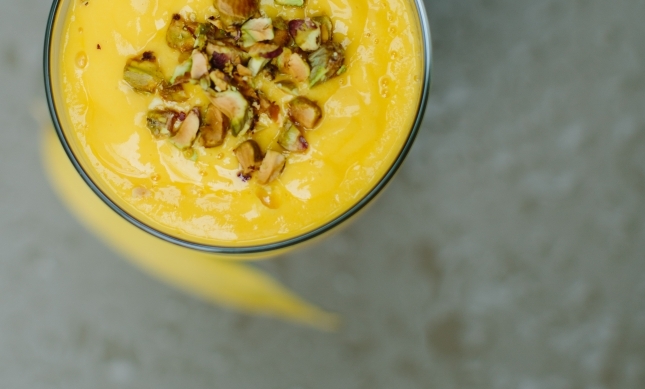 Saffron mango lassi is a traditional drink from India. Mango lassi recipe is very quick and easy. Make in this summer a very refreshing and different mango drink and enjoy it. Peel mango and chop, cut into pieces. Put them in a blender. Then add yogurt, sugar, saffron water, milk, cardamom powder and add crushed ice and blend nicely. Garnish with sliced almond, pistachio. Serve it.